A portrait of Gilbert Stanley Underwood, an American architect best known for his National Park lodges. 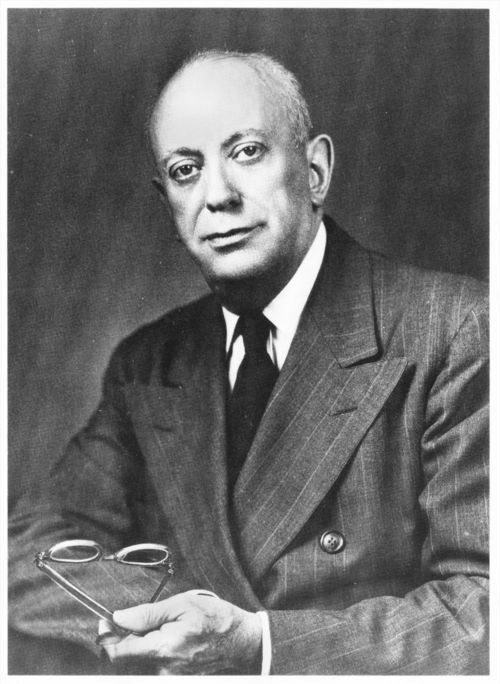 Born in 1890, Underwood received his B.A. from Yale in 1920 and a M.A. from Harvard in 1923. After opening an office in Los Angeles, he became associated with Daniel Hull of the National Park Service. This led to a commission with the Utah Parks Company of the Union Pacific Railroad which was developing the parks in hopes of producing destinations for travelers. Also, Underwood designed and built depots for the Union Pacific Railroad including the one in Topeka, Kansas.